M&A activity in the first quarter of 2014 was quite strong. 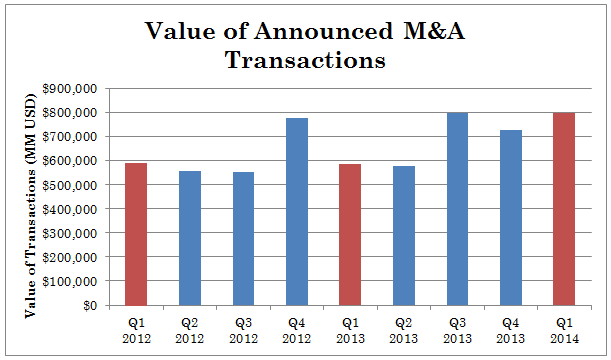 The value of transactions announced in the first quarter exceeded both 2012's and 2013’s first quarter. The value of announced transactions in the first quarter of 2014 also exceeded the last quarter of 2013, which is very dramatic as the fourth quarter is usually the busiest quarter of the year for M&A. They say that April showers bring May flowers. M&A is similar! Devising a strategy and working hard to insure the proper execution always results in a superior transaction. I’ve been doing M&A for over 30 years and have helped a large number of corporations and entrepreneurs achieve excellent results whether they are buying or selling a business. 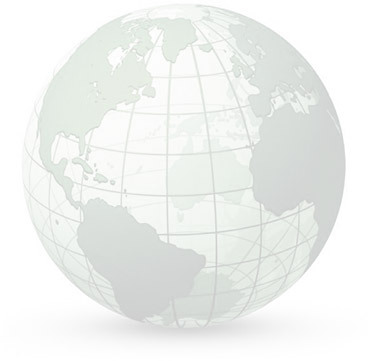 One of the key ingredients is careful thought to insure that the strategy and tactics will achieve the desired result.